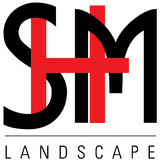 Boutique landscape contracting firm specialized in design & installation services for your landscape and hardscape needs. SHM provides solutions that fulfill our clients’ unique vision for their property. We turn landscape dreams into reality. Our philosophy: listen & learn, plan profusely, and execute effectively. Cumberland Hardscapes specializes in Pavers, Retaining Walls and Masonry work as well as a wide variety of other hardscape applications for Driveways, Walkways, Patios, Fire Pits, Outdoor Kitchens, and Pool Decks for residential and commercial customers in the Metro Atlanta Area. Our priority is to provide the best quality installation along with reliable, efficient and friendly service. Daco Stone is the right place to find designer looks at affordable prices. Our inventory consists of Natural Stone, Manufactured Stone, Brick, Thin Brick, and DIY KITS. We do installations for Georgia, residential and commercial. We have Do-it-yourself kits for outdoor fireplaces, firepits, and waterfalls. 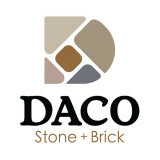 Daco Stone is the #1 place to come to for outdoor living areas. We have a design team ready to work with you to provide many ideas and options to complete your ultimate backyard living area. WE OFFER FINANCING! 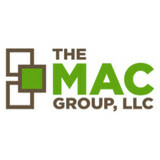 As a leading provider of any type of concrete and masonry, our company has been a operated business for over 9 years with over 15 years expierence. 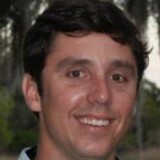 Jesse Taylor is a third generation mason and concrete contractor. There is no problem we can't fix and we have seen it all. We strive to do one job at a time to give each customer our undivided attention to ensure that you get exactly what you want. We are always trying to go the extra mile. Above all We are dedicated to doing the job correctly so it lasts a lifetime and by being licensed and fully insured. Most projects don't require any payment until we are 100% complete, which gives the customer faith that we do the job right and to your satisfaction. We are dedicated to serving the needs of our customers each and every day. Concrete Craft, formerly known as All American Decorative Concrete, was founded in 2006 by two passionate entrepreneurs named John Kostro and Dan Lightner. The vision was to create the first national decorative concrete franchise that makes the customer a top priority by delivering one-of-a-kind products at the fairest price. Concrete Craft specializes in stamped concrete, stained concrete and decorative concrete overlay services for both residential and commercial properties. In the last decade, John and Dan’s dedication to research and development has resulted in the creation of highest-quality concrete materials and methods. Concrete Craft stands in a league of its own because of our time-tested decorative concrete product and, because of this, our customers can enjoy beautiful concrete patio and flooring designs for years! Concrete Craft locations are independently owned by Franchisees across the U.S. Our locally-owned and operated businesses allow the customer to receive extra special care because each and every job is handcrafted with entrepreneurial pride and dedication to quality work. After nearly two decades at the helm of Greenmark, a premier Atlanta-area landscaping company, President Mark Erbesfield realized the lack of high-end hardscape companies operating in the Atlanta region. As a result, PaverStone Construction was formed and the PaverStone Difference was created: a unique program blending the best of landscape design and hardscape construction into a seamless experience that brings customer dreams to life without the hassle of hiring multiple contractors. Twenty years later, PaverStone Construction has taken its place among the southeast’s premier hardscape construction firms. If it involves your outdoor environment, we are your single-source provider. Hardscape (www.paverstone.com) and Landscape (www.greenmarklandscaping.com) Construction, we build your dreams. Fire Pits, Fireplaces, Outdoor kitchens and living spaces, we came make your dream a reality. If you’re looking for a sleek, sturdy concrete driveway, foundation, or sidewalk that can stand the test of time (and manage to look great in the process), a concrete driveway is unquestionably the way to go. That’s why Sudlow Concrete is proud to specialize in custom concrete work for your outdoor (and one or two indoor!) home improvement needs in Atlanta. We are fully licensed and insured, and our skilled technicians make it possible to get top-of-the-line services at affordable prices. With over 20 years of experience in the industry and 16 as its own company, Sudlow Concrete is the premier service provider for all your driveway needs in Atlanta, including driveway replacement, driveway repair, decorative driveways and much more. Our expertise and our dedication to quality work and great customer experiences have landed us numerous awards and honors, such as the Superior Services Award from Angie’s List, a 4-year-running “Best Of” award from Kudzu, and a five-star rating from Home Services Review. But the ratings and reviews that matter the most to us are the ones we get from you, which is why we’re honored to have hundreds of five-star reviews from satisfied customers. FOR BEST SERVICE PLEASE CALL 404-450-3753. Please include name, address, telephone, and nature of the job and we can get you pricing ASAP. With years of experience on all types of pavers and natural stone, Georgia Paver Restoration is your expert in paver and natural stone cleaning, sealing and repair. Our steam cleaning process leaves your pavers and natural stone unbelievably clean! We are not just a pressure washing company. Unlike basic cold power washing companies, Georgia Paver Restoration offers a full-service paver and natural stone restoration solution for your patio, walkway, driveway and pool deck in the most efficient and cost-effective way possible. Designers and Contactors of Natural Stone, Granite, Tile, Marble, Pavers and Concrete. What Is Concrete Resurfacing? We Make Concrete Beautiful! Concrete resurfacing is the application of a new acrylic based cementitious materials on top of existing concrete surfaces that are in good condition. Our Stardek coatings are slip resistant, oil rust and mildew resistant and come in a variety of patterns and colors. Concrete Resurfacing Products, Inc. is a proud Installer and Georgia Distributor of Stardek Products. We specialize in three types of resurfacing... DECORATIVE CONCRETE COATING CONCRETE STAMPED OVERLAY CONCRETE ACID STAIN We work with existing concrete to give it a decorative finish. Our installation techniques can transform your existing basement, driveway, patio, pool deck or walkway to look like brick, flagstone, slate and so much more. 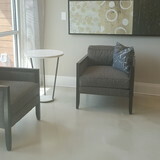 Our decorative concrete surfaces will enhance the appearance of your home or business. We welcome the opportunity to meet with you to discuss your project and provide you with a free estimate. RPM Landscape And Pavers is a family owned company that can help with anything from a small landscape job to a complete outdoor renovation. Our experienced crews have the vision to make any outdoor living area beautiful. By combining our clients wants and needs with our designers creativity RPM has succeeded for over 15 years. Atlanta Concrete Technology, LLC provides a revolutionary coating designed to protect existing concrete while giving it the look, texture and color of inlaid brick, tile, slate, marble or something unique. Concrete Technology's products can withstand the most extreme climates. Freezing and thawing, salts and de-icing agents, heat, sun and other elements that will normally deteriorate concrete over time have no effect on the Concrete Technology System. CTi has been listed in INC magazine's list of the 500 fastest growing companies in America along with the Maddux report's Fast 50 and Deloitte and Touche's Technology 500. You can now have the look, texture and color of inlaid brick, tile, slate, marble or something truly unique. The Concrete Technology System is perfect for driveways, patios, pool decks, walkways even inside the home. The Concrete Technology System is twice the strength of normal concrete. This tough, durable coating stands up year after year. We are Atlanta Concrete Stone Specialist, a cutting edge concrete construction and design company. We are based out of Norcross, GA and are licensed, insured to service the state of Georgia. We hold a certificate from the prestigious Engrave-A Crete school. The industry leader in decorative concrete products and training. We are not only passionate about our products, but also the people are products serve. Our project managers walk you through every step of the process from providing options, to picking your product to following up to see that you are more than just satisfied. From installing new exterior columns to repairing your chimney, masonry contractors can help you add both visual appeal and value to your property. They’ll know what kind of installation makes the most sense for your Panthersville, GA climate and regional style. Looking for something that will develop a patina with time? Or would you rather have your home feel brand new for years to come? Choosing the right kind of stone involves thinking about the future, too. Experienced brick suppliers and stone suppliers can help you find the material that will work for your home now and for years to come. These professionals aren’t limited to exterior work either. Whether you want a split-stone granite wall in the kitchen or need help installing traditional brick masonry on your fireplace facade, you’ll want a professional to get it right. If you’re already working with an architect or designer, he or she may be able to suggest a good Panthersville, GA subcontractor to help out. Here are some related professionals and vendors to complement the work of stone, pavers & concrete: Landscape Architects & Landscape Designers, Architects & Building Designers, Garden & Landscape Supplies, Driveways & Paving, Siding & Exteriors. Find stone, paver and concrete professionals on Houzz. Search the Houzz Professionals section for Panthersville, GA stone, paver and concrete professionals. Browse photos and read reviews, and contact a pro if you like their work.